Homewares and furniture steal the show this week (Jardan, De Mobler, Milk & Sugar included). Plus Melbourne’s Magic Designer Sale is back (featuring Kloke, Kuwaii, Verner, Seb Brown, Witu and many more). 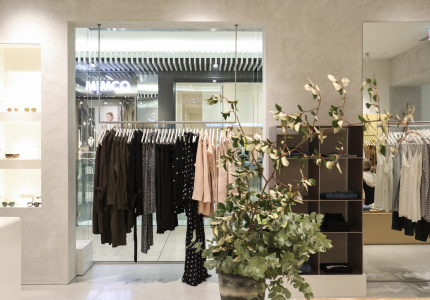 Melbourne’s beloved Magic Designer Sale is back for another round of big discounts from a bunch of Melbourne’s best designers. This year’s line-up includes Kloke, Kuwaii, Livia Arena, Dress Up, Jermone Dreyfuss, Handsom, Verner, Seb Brown, Witu, Post Sole Studio, Suku, Two Hills, Newend and Baserange, who will offer their clothing, footwear and accessories at up to 80 per cent off. Samples, seconds and past-season stock will all feature. Get in early. 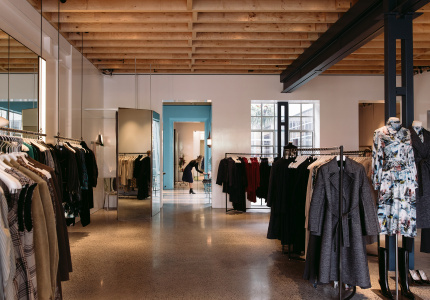 Local label Tanner + Teague will kick off its end-of-season sale this Friday, offering up to 70 per cent off select designs in its men’s, women’s and kid’s collections. 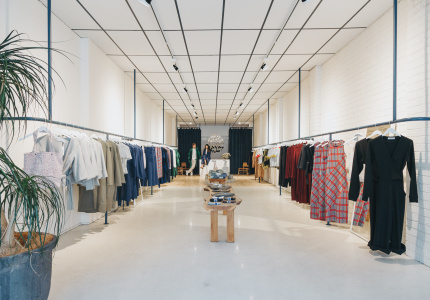 A range of international labels that the boutique stocks ¬– including Uashmama, Duckfeet, Helmut Lang, Royal Republic and Alex Monroe – will also be available at up to 40 per cent off. Select sales items will be available online. 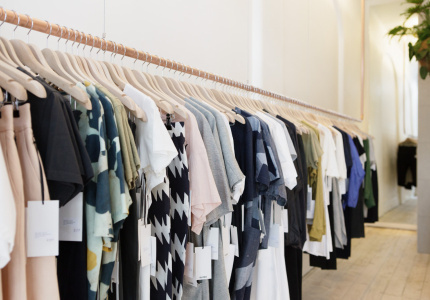 Stock up on pared-back wardrobe staples this week as Viktoria & Woods takes over The Lofft Studio for its autumn warehouse sale. Past-season designs (including pieces from the resort 17 collection) and samples will be available at up to 80 per cent off. Playful label Yevu – whose collections are handmade in Ghana in collaboration with local tailors and seamstresses – is saying farewell to summer with a “cheeky” storewide 10 per cent discount offer. Treat yourself to a one of the label’s bold pieces – made with traditional wax print cotton fabrics from the markets of Accra, Kumasi, Togo and Cote d’Ivoire in West Africa ¬– to help you stay colourful for a little longer. Men’s and women’s designs are available and expect short-sleeve shirts, flared pants, hooded parkers, shift dresses, oversized jackets, jumpsuits, boilersuits, and more feature. Our pick: the prawns. Enter the code CHEEKY10 at checkout. 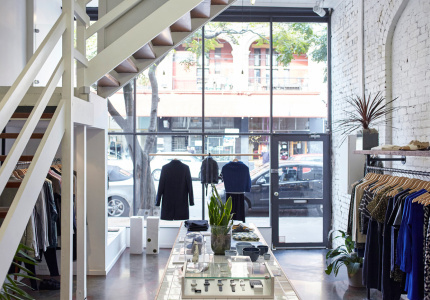 Australian brand Lee Mathews is entering the final days of its warehouse clearance. Up to 80 per cent off selected pieces from the label’s summer 17 and resort 18 collections are available, with one-off samples priced as low as $30. You’ll find classic Lee Mathews designs, which delicately weave colour, texture and prints into elegant and sophisticated cuts. Come for billowy statement dresses in luxurious silks, as well as lifestyle separates in linen and cotton. Playful label Alice McCall has kicked off its mid-season sale, offering up to 50 per cent off selected designs. In classic McCall style, there’s plenty of lace, frills, ruffles, embroidery and florals. There are also jumpsuits and playsuits aplenty. While stock lasts. Local family-owned furniture favourite Jardan is opening up the factory for its annual sale this week – and it’s the biggest one to date. Loads of sofas, chairs, tables, stools, beds, storage units, lighting, bed linen, rugs and cushions will be available at heavily discounted prices. For beautiful bespoke furniture that’s crafted in Melbourne, this is your sale. Get in early to secure the best bargains. Distributor of Scandinavian mid-century classics De Mobler is hosting a two-week clearance sale at its new Malvern store. Finnish hand-woven rugs in cotton and paper yarn are available at up to 50 per cent off. The award-winning Siesta chairs are available at up to 30 per cent off. 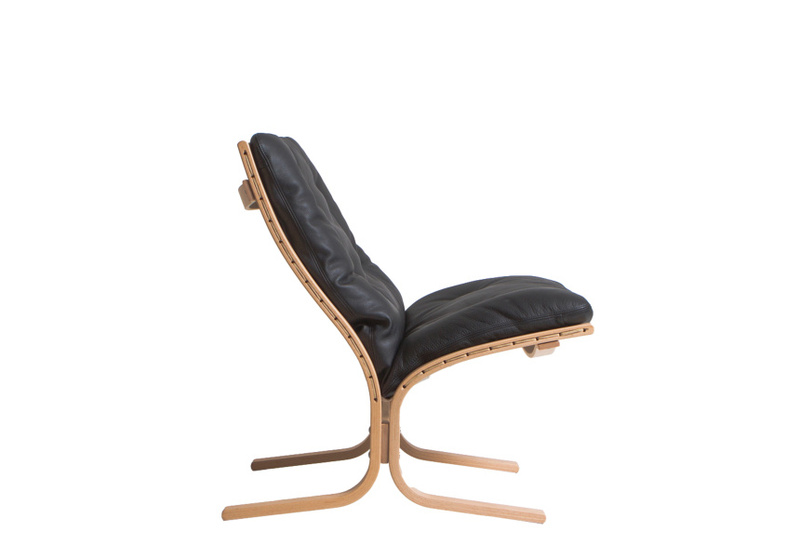 A collection of Norwegian chairs is also available. Available in-store only. Off the back of a recent online clearance, Melbourne’s Hunting for George is hosting a one-day-only sample sale at its Richmond showroom this Friday. There will be up to 90 per cent off floor stock, loan stock and excess stock and rugs, pots, artwork, bed linen, furniture and homewares are all included. 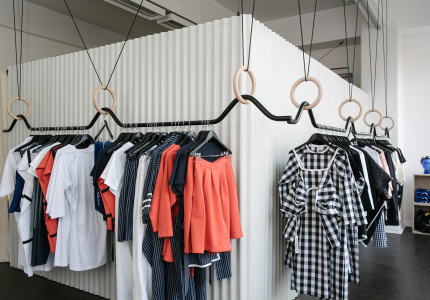 Melbourne homewares boutique Milk & Sugar is also clearing out its past-season stock with a warehouse sale this week. Up to 80 per cent off lighting, cushions, clocks, ceramics, tableware, bedding and gifts is on offer. Melbourne ceramics specialists Angus & Celeste are giving their seconds stock a little love this week with an in-store and online clearance of their imperfect pieces. Hanging planters, pot plants, vases, tableware and jewellery all feature at heavily discounted prices. The Jelly Planters are a highlight.